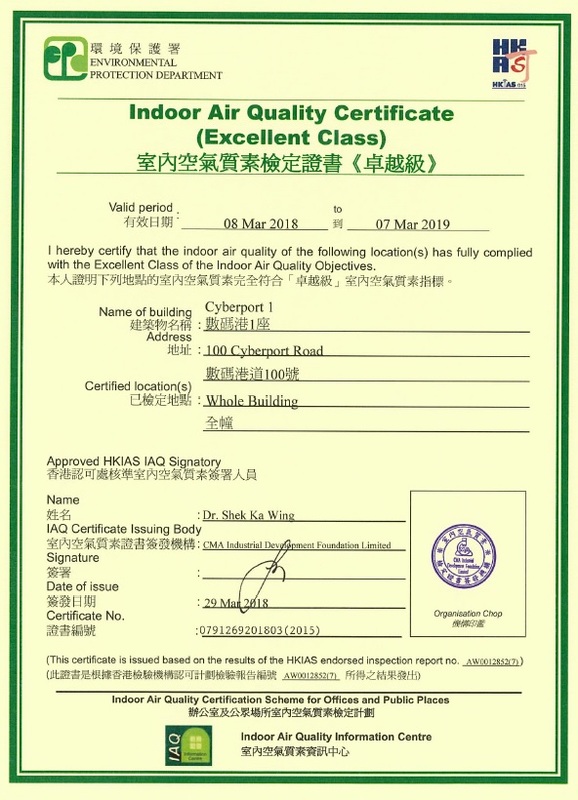 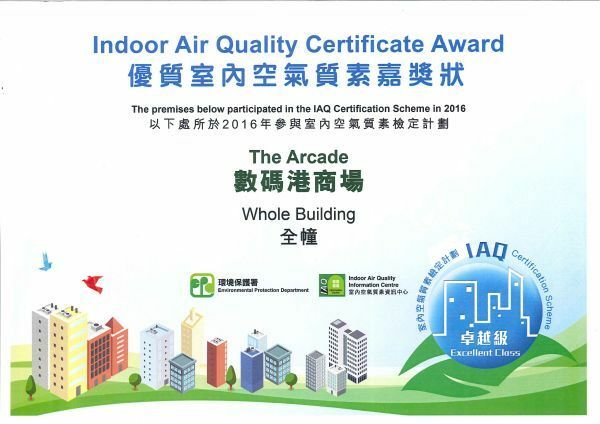 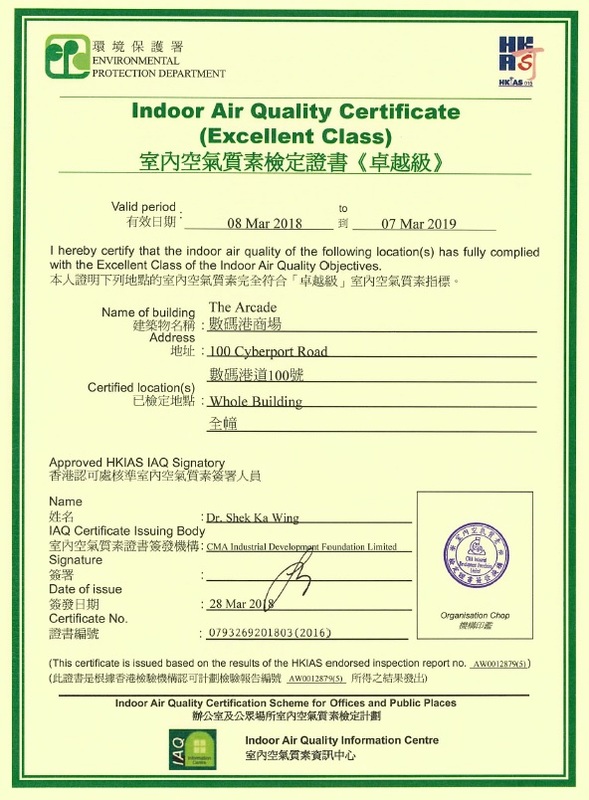 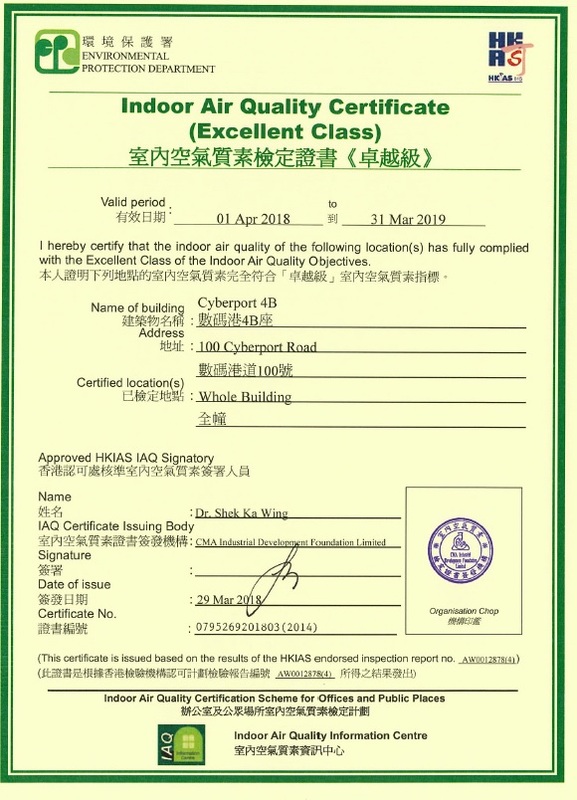 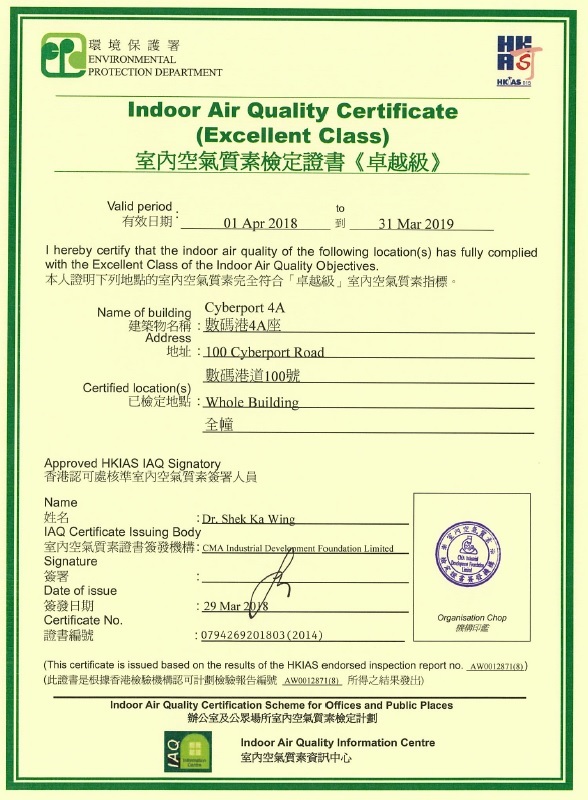 Cyberport Annual Report 2013/2014 "
- Conferred by MerComm, Inc.
"Web Accessibility Recognition Scheme 2015 – Triple Gold Award"
"Web Accessibility Recognition Scheme 2014 – Gold Award"
"Excellent Class Indoor Air Quality Certificates for Cyberport 1, 2, 3, 4A, 4B and The Arcade"
Cyberport’s Board receives “Directors of the Year Awards 2013” and also the inaugural “Excellence in Board Diversity” commendation by the Hong Kong Institute of Directors. 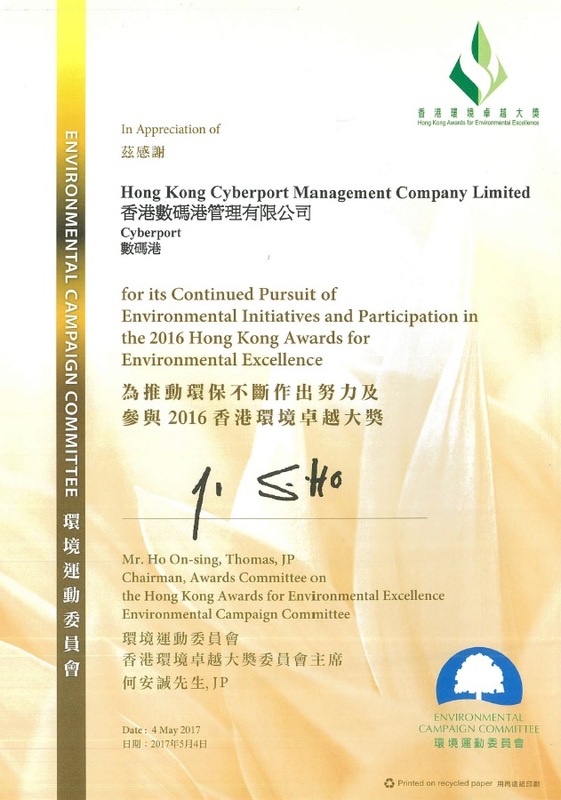 "Web Accessibility Recognition Schem - Gold Award"
"Jade Award --- Web Care Award"
"Power Smart Biggest Unit Saver Award (Property Management) 2nd Runner-up"
"Quality Water Recognition Scheme for Buildings for Cyberport 1, Cyberport 2, Cyberport 3 (Core A – F), Cyberport 4 and the Arcade"
"Best Performance of School-Company Partnership 2011-12" and “Great Entrepreneurs Spirit” of School-Company-Parent (SCP) Programme. "Power Smart Contest 2011" Certificate for continued participation in Power Smart Contest & reached the minimum energy saving target by at least 2% in 2011.